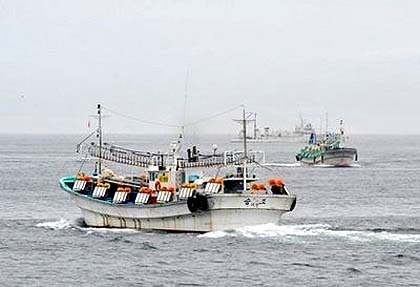 Home Tags Posts tagged with "yellow sea"
The Chinese fishing crew seized by North Koreans two weeks ago has been freed along with their boat, reports say. The 16-man crew was taken captive by unidentified North Koreans in the Yellow Sea on May 5. China said on Monday it had been negotiating with Pyongyang for their release since May 10. All were “safe on their way back”, China’s Xinhua news agency reported. Boat owner Yu Xuejun told Reuters news agency no ransom had been paid. Yu Xuejun had earlier said that the North Koreans were demanding a 600,000 yuan ($100,000) ransom, and that he had received eight calls demanding payment. “There were no conditions and they didn’t take any money,” he told Reuters. 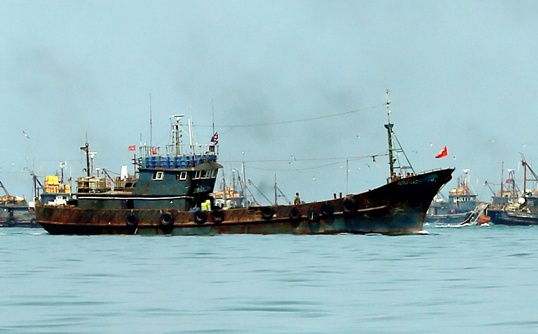 Last year, in a similar incident, 29 Chinese fishermen and three vessels were seized by unidentified North Koreans. They were freed after two weeks and it was not clear whether a ransom had been paid, nor whether the captors had been the North Korean authorities or autonomous kidnappers. China is North Korea’s biggest trading partner and closest ally. But ties between the two have chilled in recent months, in the wake of North Korea’s third nuclear test on February 12. Beijing backed expanded sanctions against Pyongyang in response to the underground test, and some of its banks have suspended trading with North Korea’s key foreign exchange bank. Overall tensions on the peninsula remain high following the nuclear test, with operations at the joint inter-Korean Kaesong industrial complex suspended. In recent days North Korea has fired six short range missiles off its east coast, as part of what it says are military exercises.